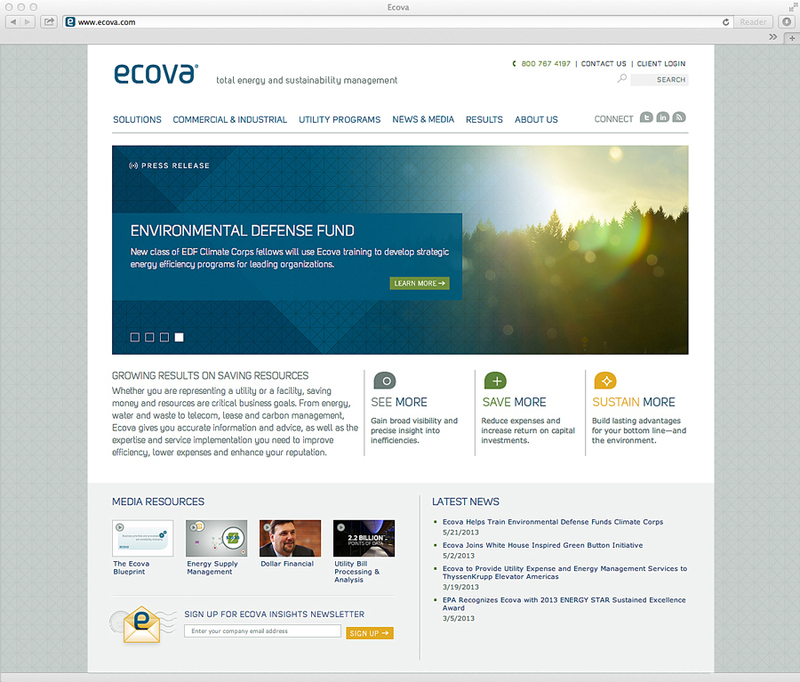 Ecova was going through a huge rebranding effort, including a name change, and the small internal marketing team was responsible for creating a new website that could really position the company as a total energy and sustainability management force. The site needed to feel high tech and forward thinking while speaking to the environmental and sustainability causes. 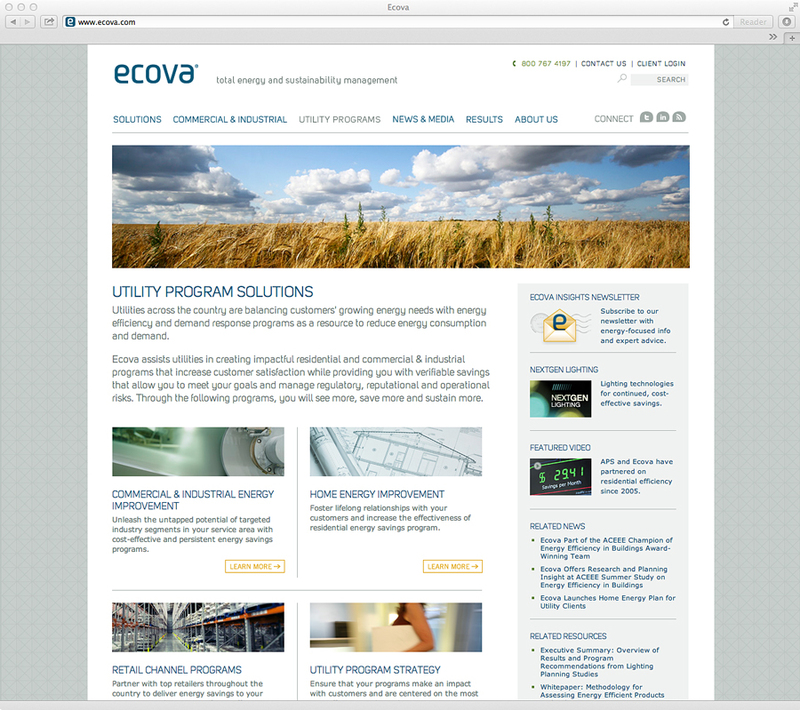 We developed a site and brand that would feel very clean, modern, and sleek. The site was built on a tight 12-column grid that gave flexibility to use the columns in many different ways, so that the site would feel modern, stable, and clean, but still light and breathable. We'd also have the flexibility to incoporate videos, multimedia, and multiple ways of navigating to content throughout the site. To bring warmth in, we sourced images from multiple sources to represent to the different solutions and offerings metaphorically. Other touches of infographics and illustrations help explain processes while giving the site a richness and signature identity. Photos and illustrations mix and compliment each other with signature colors and interesting crops. Animations and subtle gradients add warmth and make users want to interact. 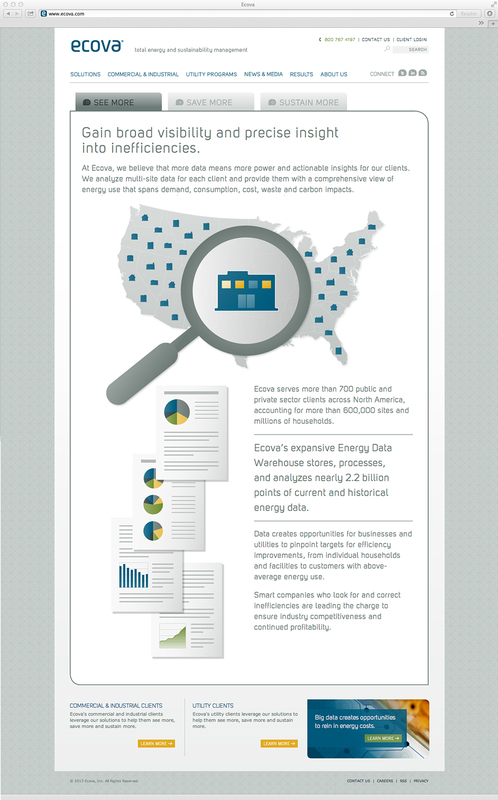 Large illustrations and infographics help speak to Ecova's solutions in a unified and bold way. As we build out content, we continue to try to keep things simple, clean, and clear for our users. 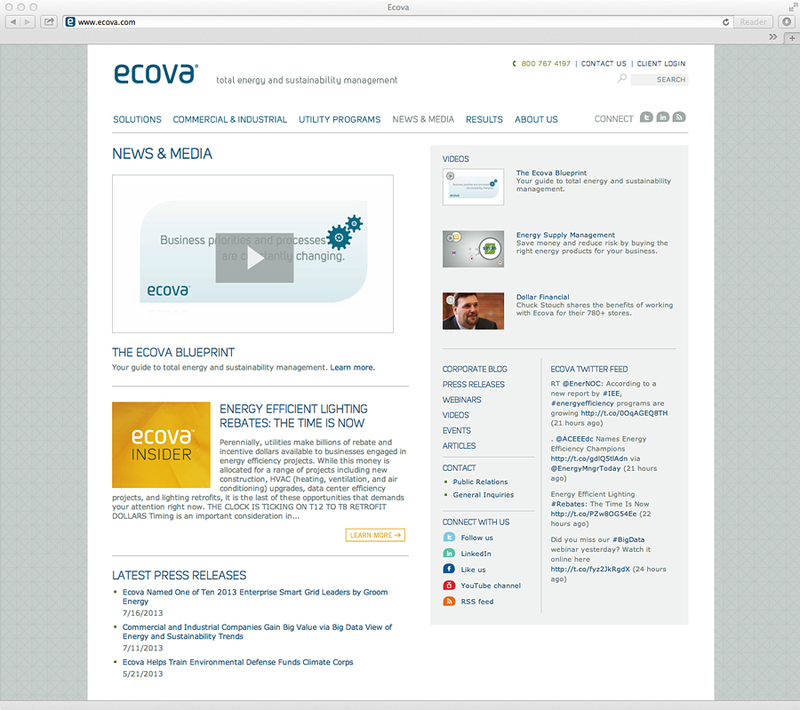 Interactive tools and forms help us collect data and get users to learn more about our diverse offerings. Our site also acts as an internal teaching tool for employees who may not be familiar with the diverse offerings of affiliate businesses within other parts of the company. 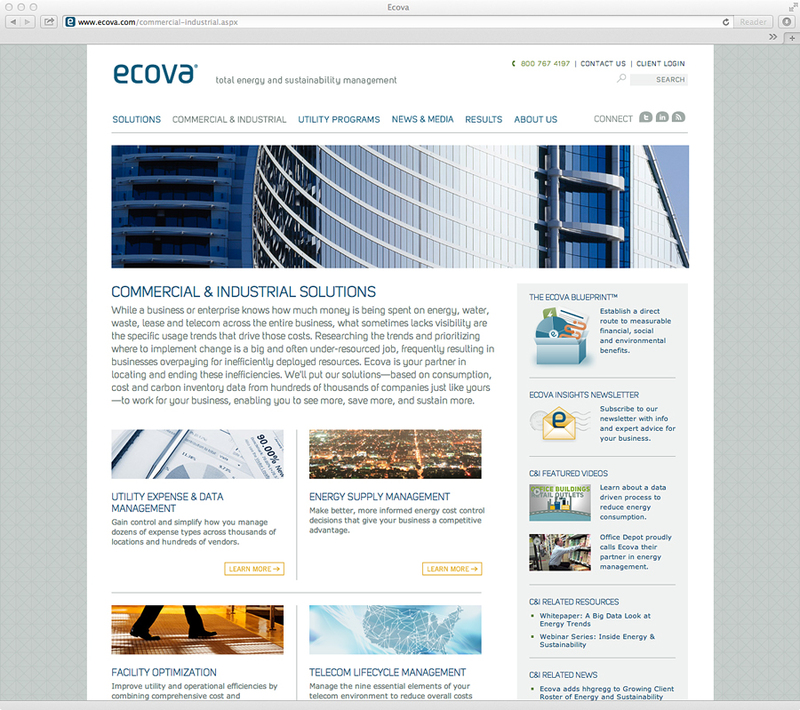 Traffic to the site increased exponentially with the rebrand and redesigned site. We've been able to manage the site's growth with a consistent look and feel over three years with very limited design and programming resources, and it continues to be a major revenue touch point for the company.